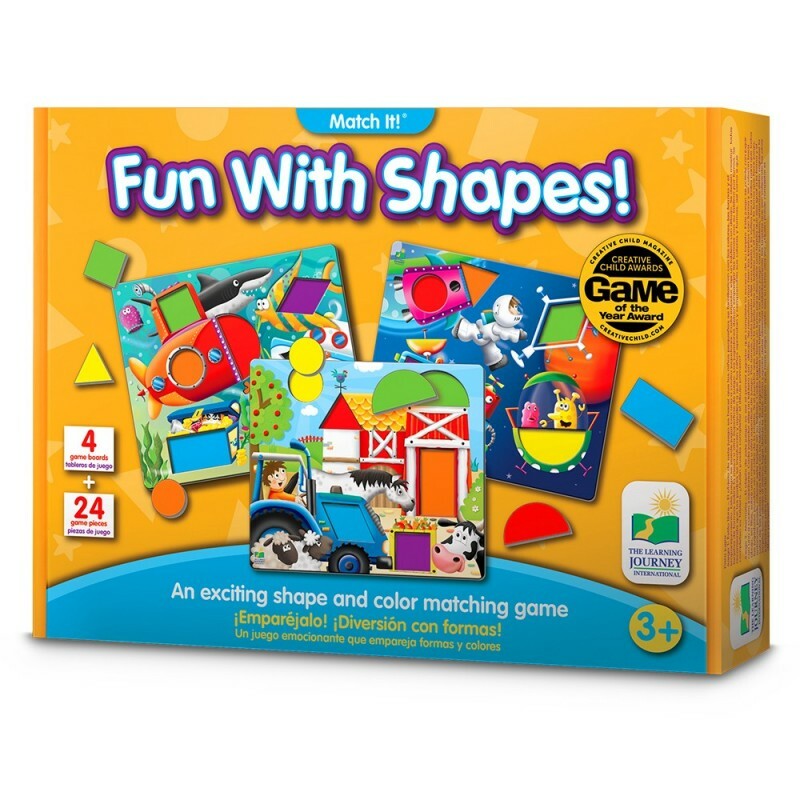 Learn all about shapes with this fun puzzle game. 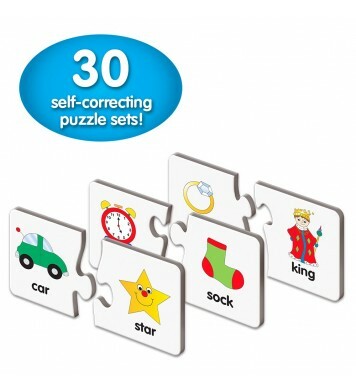 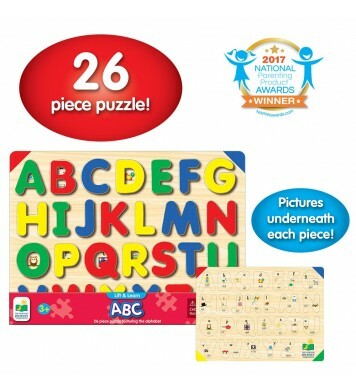 Simply take turns selecting the proper shape to fit your puzzle board, and if you are the first to complete your puzzle with the right shapes and color, you win! 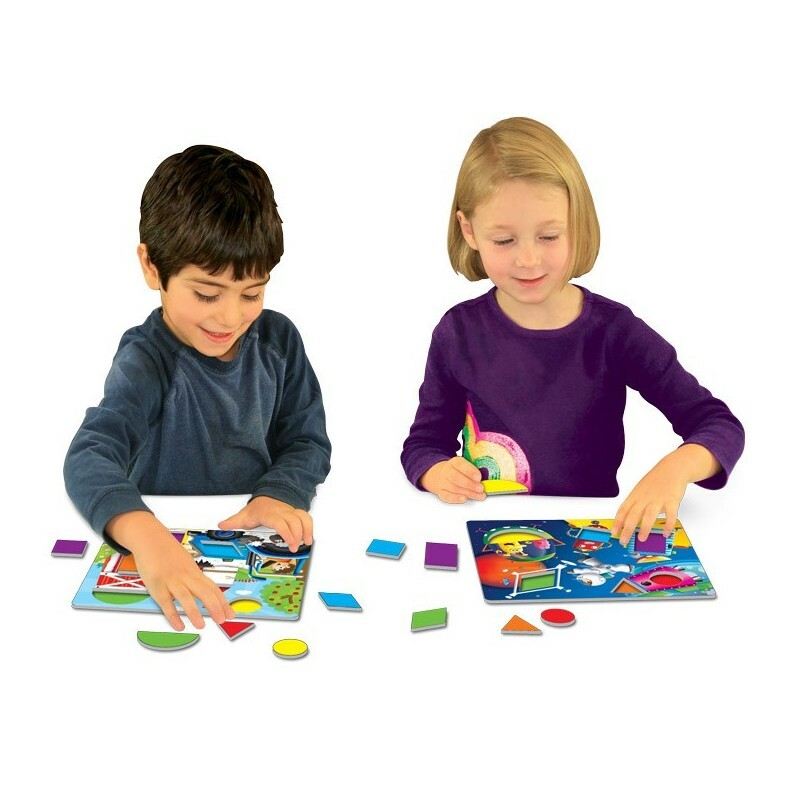 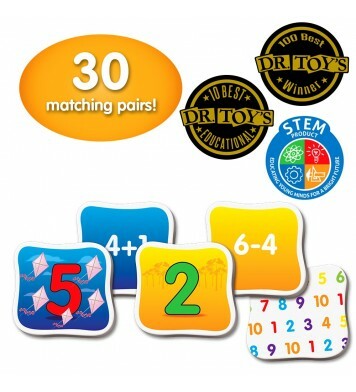 Kids will develop shape recognition skills as well as cooperative skills through gameplay. 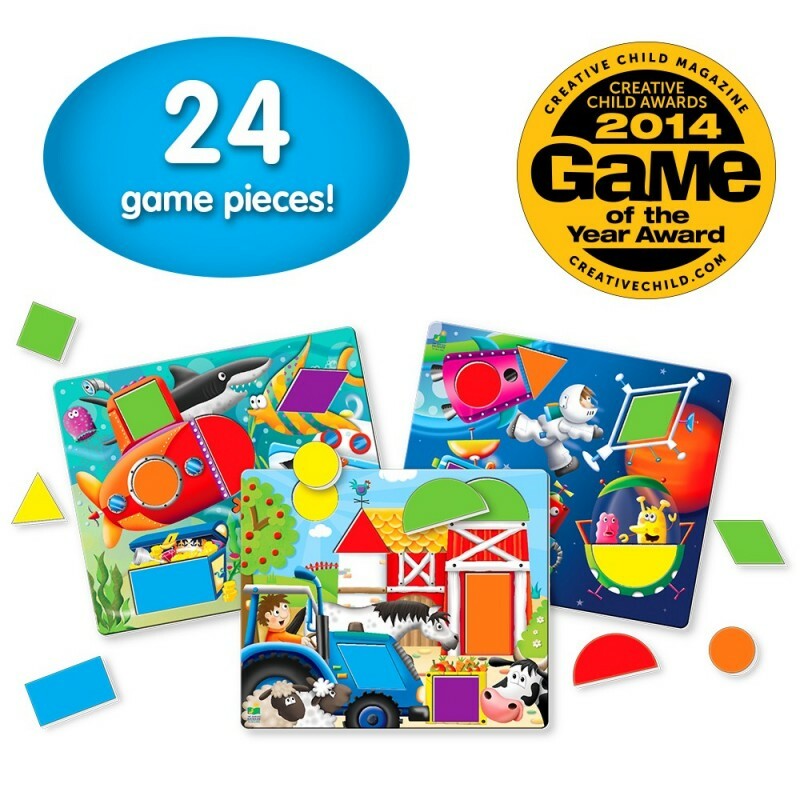 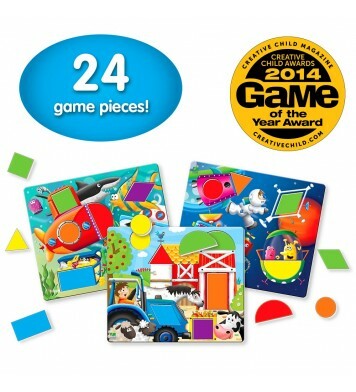 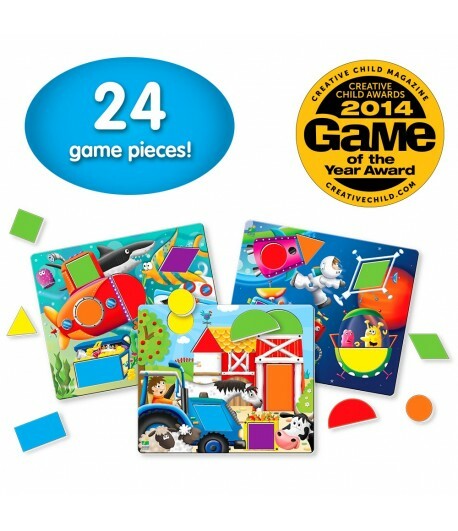 Game includes four puzzle boards and 24 colored shapes. 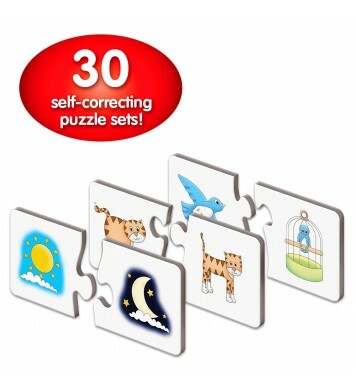 Recommended for ages two and up.